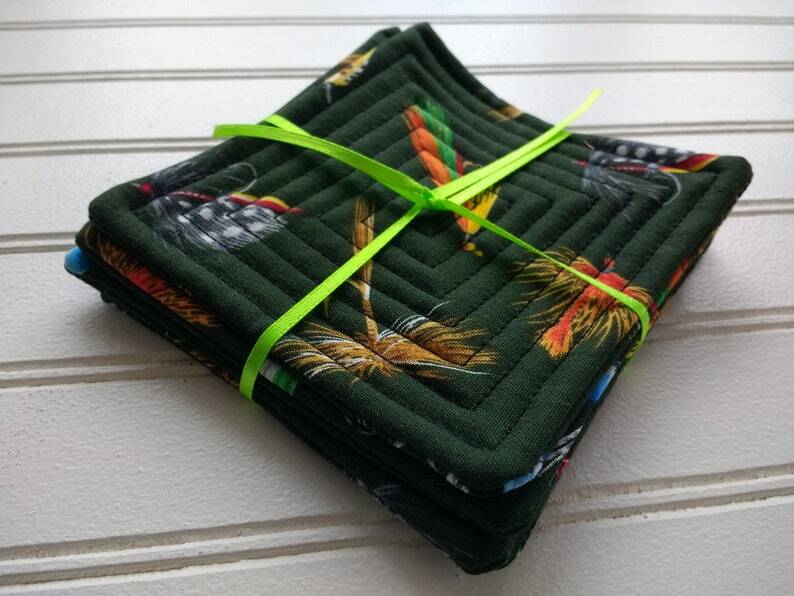 Quilted coasters are durable, machine-washable, and dryer-friendly! Throw them in the wash with your kitchen towels, and they're good as new! Each coaster measures approx. 4" square.